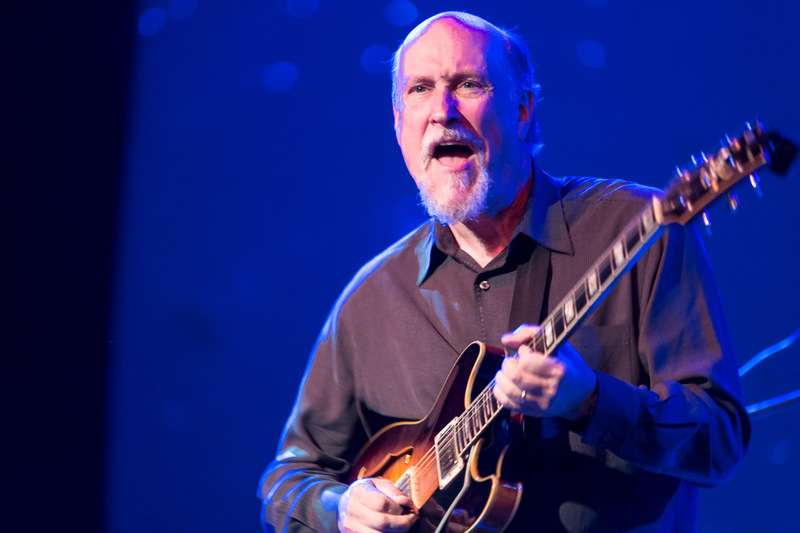 Earshot Jazz Festival 2013 presented John Scofield’s Überjam Weds night at the Triple Door. 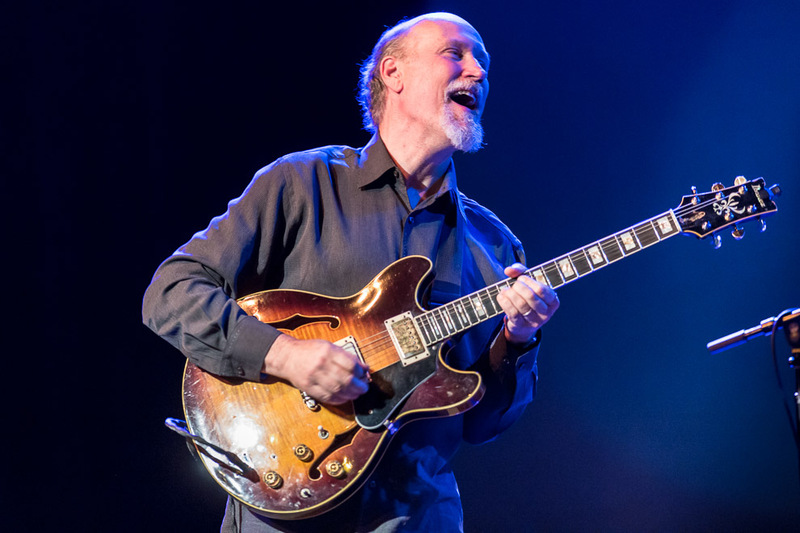 John Scofield’s new groove outfit featured bassist Andy Hess, guitarist and sample ace Avi Bortnick and drummer Luis Cato, fresh from a new studio album. 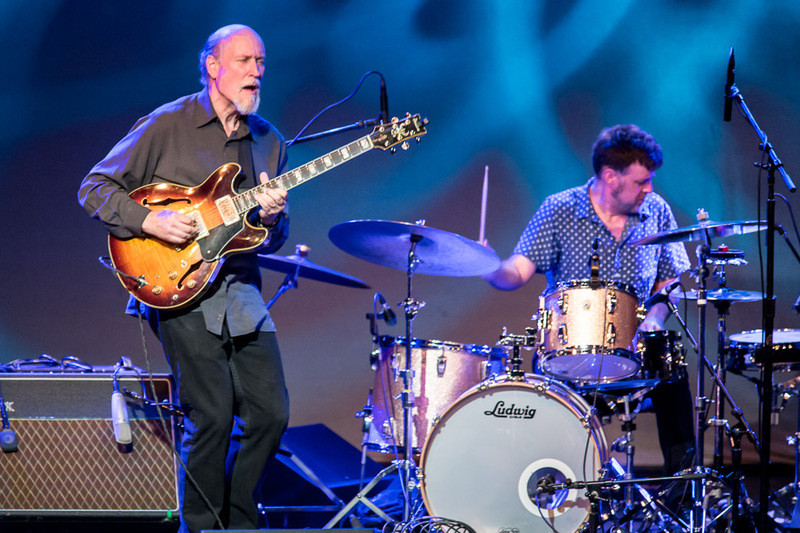 A veteran of bands going back to Chet Baker, Gerry Mulligan and Miles Davis, Scofield is an ever-evolving jazz-rock icon with a distinctive sound. 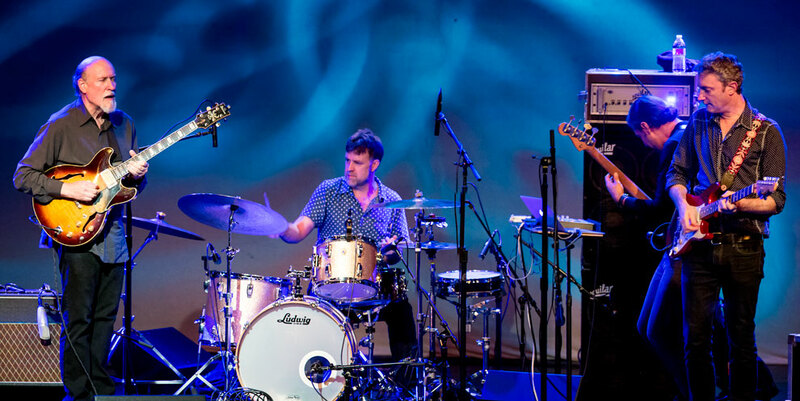 The Überjam unit effortlessly blended diverse influences in a seamless, modern groove – adding Indian samples or dub bass, for example – with guitar improvising master Scofield flying on top.